If you are planning to buy/sell a house in DC Metro Area, you cannot find a better realtor than Pat Paulas for your real estate needs. I have bought and sold investment properties with her assistance for over eight years. She is just absolutely phenomenal in her research and dedication to her client’s needs. What I like most about Pat is she shares the same level of enthusiasm as you do regarding finding a home for you, or selling a property that you have. She makes sure to cover the little details that can make a large financial difference down the road, like checking the tags on the appliances and seeing when they were last serviced, looking under sinks for potential moisture damage, making sure basements are dry through proper drainage. When we were selling our last investment property she helped us understand how to price it for a competitive marketplace, so that our property sold for a higher price than other similar properties in the neighborhood. Thank you Pat, for saving us a bunch of money and time. 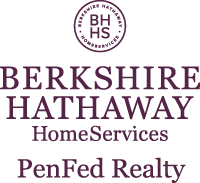 I highly recommend Pat Paulas of PenFed Realty. I had a preconceived notion of what a Realtor was and it was not anything like Pat. She is open, honest and caring. She was there whenever I needed her and made the process of purchasing a home relatively easy while saving me money. There are so many decisions to be made when purchasing a home and she helped me understand the consequences of all the options that were presented to me. I have referred her to friends and family, and hopefully to you. Kim found a great house in Annandale . . . no commute for her . . . for a great price. We had a wonderful home-buying experience thanks to Pat Paulas. She is an excellent realtor – friendly, professional and highly experienced. Pat gave us insightful advice throughout the process, honest feedback on the properties we viewed, and took the time to explain all the fine print on every document when we made a decision. We felt confident, relaxed, and fully-informed throughout our search and purchase. She cares a lot about the needs of her clients, and it shows in her attention to detail. I would highly recommend her to any friend looking to buy in the area. I recently bought a home with Pat Paulas acting as my agent. She handled everything very promptly and professionally and was extremely patient and helpful with all my questions and concerns as a first time buyer. She was great about explaining the entire process and things to be mindful of. She also gave many valuable suggestions from a good price to offer for this market, follow up home warranties and on going services ideas. She was very engaged throughout and during the home inspection and final walk through she was very thorough and guided me to focus on what was important. On our final walk through it turned out there was a problem with a furnace and she was completely on point with it and had an addendum for the seller to sign to hold him responsible for repairs. She then followed up with him until the repairs were done. All in all a wonderful experience working with Pat and I’d recommend her to anyone looking to buy a home.